Have you ever wondered who those people that like to fold laundry are? Whelp, they exist and they enjoy folding their laundry. Many find it as a way to pass the time on a relaxing weekend afternoon. It may appeal to their organized nature, or act as a way to focus their attention on an easy task other than stressing out about work. Others are not so fond of the activity. To these people, folding the laundry is a dull chore, one that is better off being replaced by just stuffing one’s clothes in an empty drawer. However, there are certain advantages that come with folding your laundry properly, and may just make the task worth it. For example, folding your articles of clothing allows for you to have much more room to store them. Whether you are putting laundry away in a drawer, or packing up for a trip, you will be provided much more volume by reducing the amount of space each individual article takes up. This way, it is easy to store everything in one contained area, rather than having to find a new spot to put away the clothes that wouldn’t fit with the rest. Folding greatly reduces the amount of wrinkles and creases in your laundry. When you go out in a new shirt or pair of pants, you want to look your best. Wearing smooth properly-folded attire both looks good and feels right. Folding your laundry can make it last longer. Folding your laundry, as opposed to hanging or bunching the clothing, reduces tugging and pulling. This can help extend the lifespan of the clothes, as well as prevent and pulling at the seams or fraying of edges. Organization is key for a peaceful daily routine, and folding your clothes is a key part of organizing. Folded clothes in a stack are easy to access, and to group together with articles of a similar nature. This process will make your life much easier than attempting to locate a certain piece of clothing in an unmanageable pile. 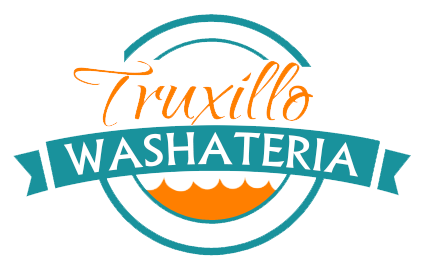 © 2017 Copyright - Truxillo Washateria . All Right Reserved.